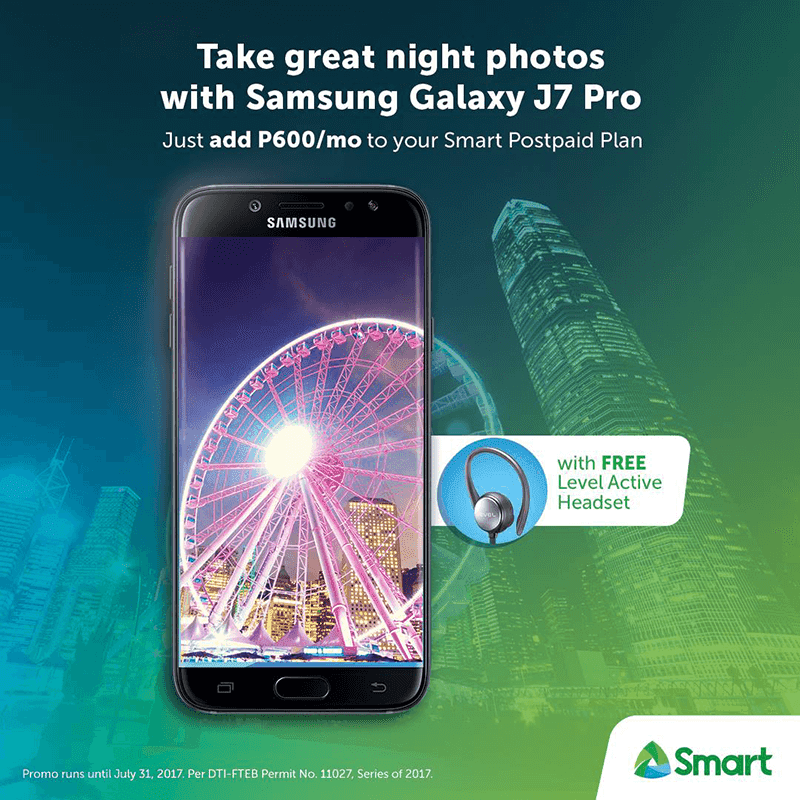 Smart Communications Inc. has just announced on their Facebook page that the new Samsung Galaxy J7 Pro is now included at the company's postpaid plans. Smart offers the Samsung Galaxy J7 Pro at Plan 399 with 3 GB monthly data. It'll go with 500 MB of dedicated data for Facebook Messenger, Viber and WhatsApp. Smart has also added Unlimited All-Net SMS, 20 mins All-Net calls and discounted PHP 4 per minute calls for Smart and TNT subscribers. There will just be a cash out of PHP 999 and additional PHP 999 add-on fee for 30 months. If you have an existing Plan, just add PHP 600 per month. Moreover, there will be a FREE sweat-resistant Samsung Level Active Headset worth PHP 3,099 for approved applications by July 31, 2017. To apply, just visit the nearest Smart Store or get it via Smart Online Store: store.smart.com.ph/view/1990.